KIT GROVER: Time Out, Bob and Roberta Smith. Time Out, Bob and Roberta Smith. Bob and Roberta Smith spoke to Time Out about his belief that 'all schools should be art schools' and on standing as an independent candidate for Surrey Heath against Michael Gove. 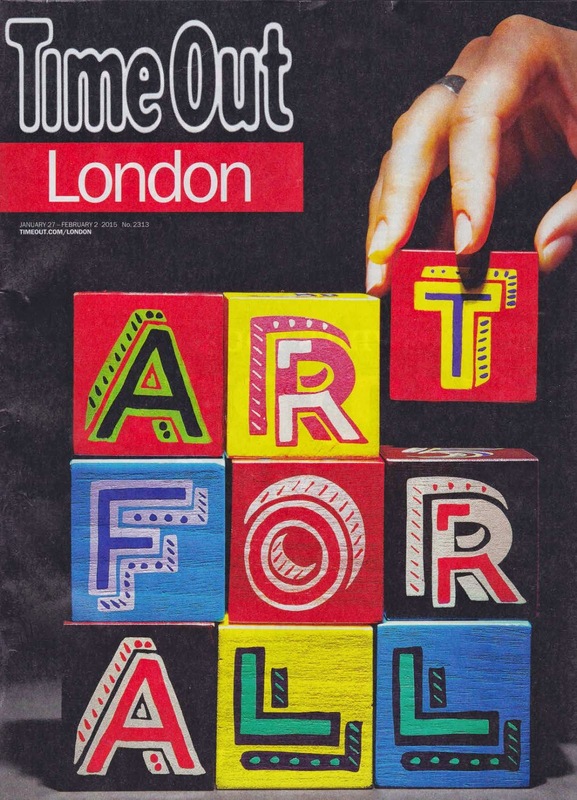 Bob and Roberta Smith wooden alphabet blocks, Time Out London cover, January 27- February 2, 2015. Kit Grover worked with Bob and Roberta Smith to produce a set of wooden alphabet blocks for TATE in 2009 and the 'How to Improve the World' bag in 2006 for the Arts Council Collection.